Unlike other cd labeling software, you'll never be locked into a particular brand of label paper. All popular brands are supported and even non-standard labels can be adjusted using the "Label Alignment Wizard". Includes support for Epson, Canon, HP Hewlett Packard CD printers. No matter what kind of paper, our cd cover maker can print your labels with ease. Make an amazing professional labels for CD and DVD easily and quickly. Qweas is providing links to AudioLabel CD/DVD Labeler 4.3 as a courtesy, and makes no representations regarding AudioLabel CD/DVD Labeler or any other applications or any information related thereto. Any questions, complaints or claims regarding this application AudioLabel CD/DVD Labeler 4.3 must be directed to the appropriate software vendor. 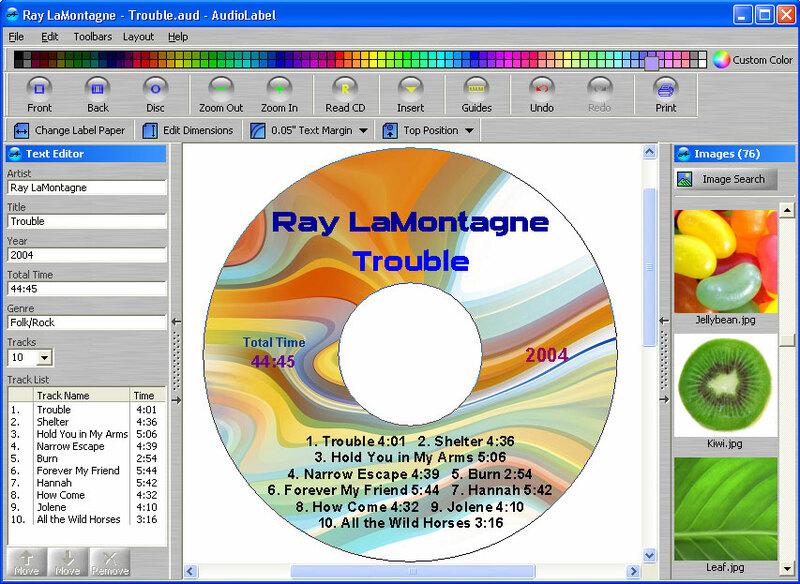 You may click the publisher link of AudioLabel CD/DVD Labeler on the top of this page to get more details about the vendor.